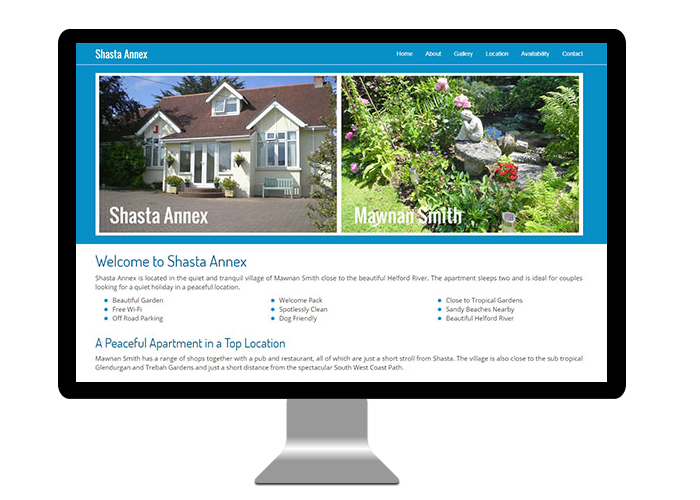 Shasta Annex is a self catering apartment located in the quiet and tranquil village of Mawnan Smith close to the beautiful Helford River and just a short drive from the local beaches and gardens. This is a fully responsive website built on the Bootstrap Framework and first launched in 2018. Technology employed on this site includes HTML5, CSS3 and PHP. The site also has an online availability calendar. Services: Website design, photography, graphic design, copy writing. 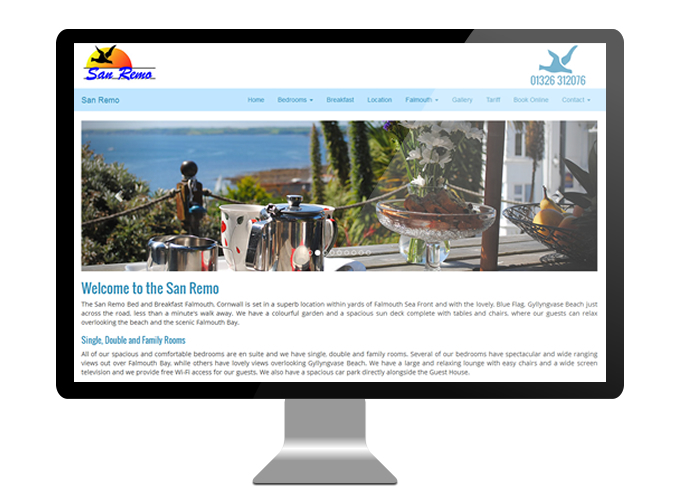 The San Remo Bed and Breakfast is set in a superb location with the lovely, Blue Flag, Gyllyngvase Beach just across the road, less than a minute's walk away. 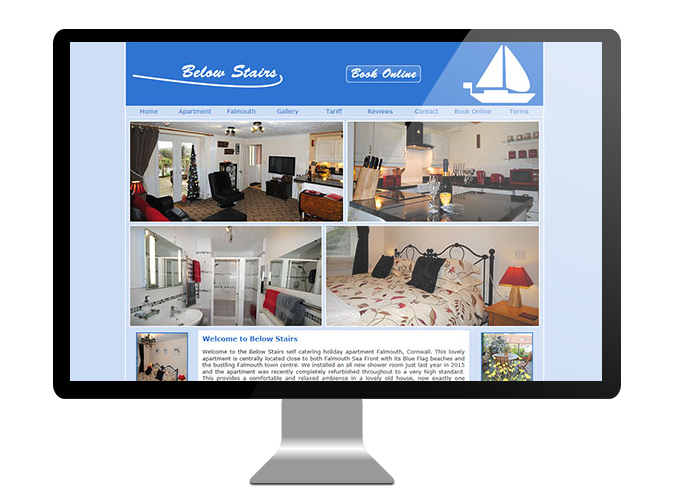 This is a fully responsive website built on the Bootstrap Framework and first launched in 2015. Technology employed on this site includes HTML5, CSS3 and PHP. The site also has an online booking facility. 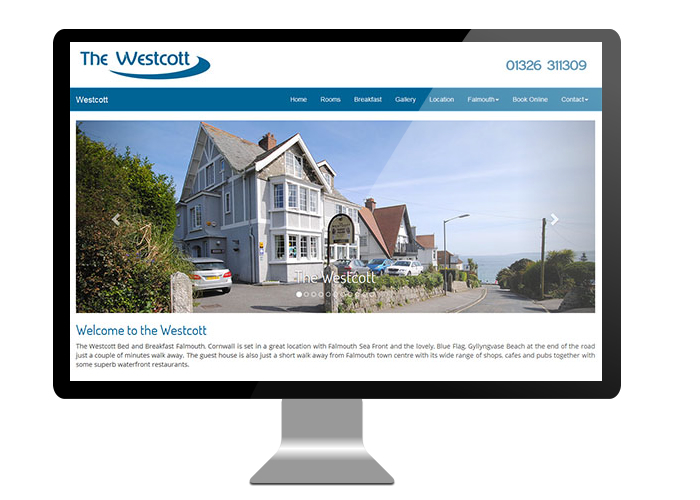 The Westcott Guest House is set in a great location with Falmouth Sea Front and Gyllyngvase Beach at the end of the road just a couple of minutes walk away. The guest house is also just a short walk away from Falmouth town centre. This is a fully responsive website built on the Bootstrap Framework and all new in 2016. Technology employed on this site includes HTML5, CSS3 and PHP. The site also has an online booking facility. Services: Website design, photography, logo design, copy writing. 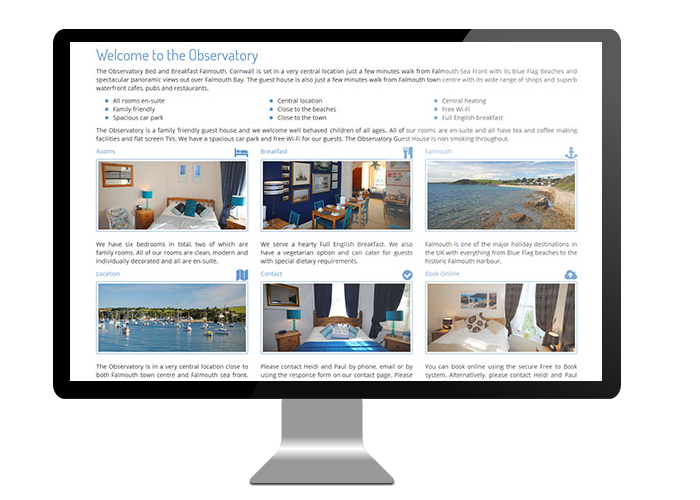 The Observatory is a family friendly guest house set in a very central location just a few minutes walk from Falmouth Sea Front with its Blue Flag Beaches. 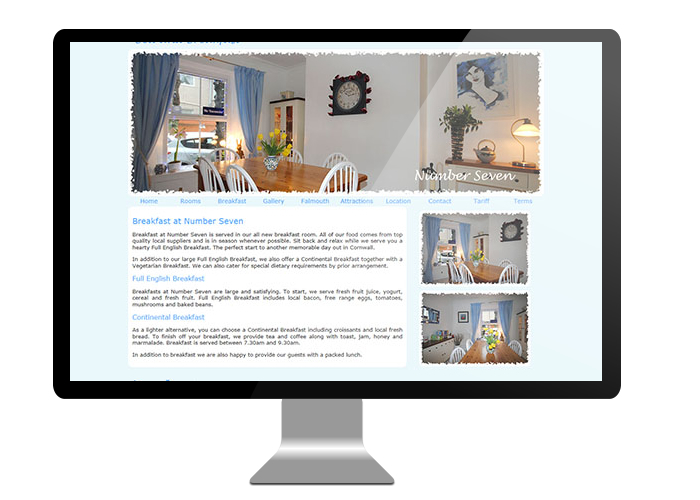 The guest house is also just a few minutes walk from Falmouth town centre. This is a fully responsive website built on the Bootstrap Framework and all new in 2016. Technology employed on this site includes HTML5, CSS3 and PHP. The site also has an online booking facility. 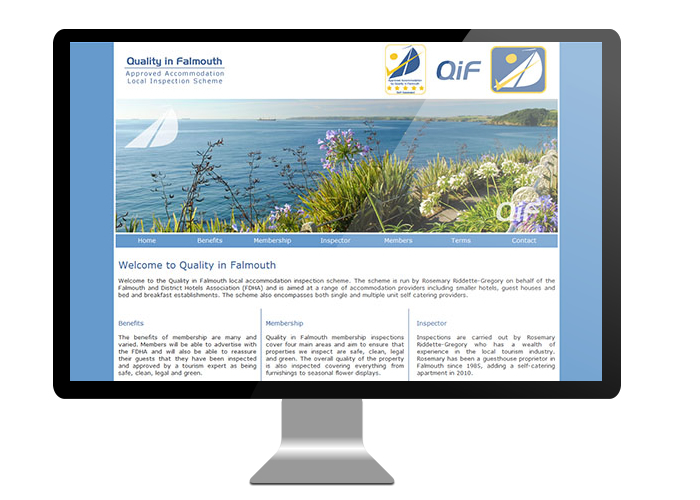 Quality in Falmouth is a local accommodation inspection scheme run by Rosemary Riddette-Gregory on behalf of the Falmouth and District Hotels Association and is aimed at a range of accommodation providers including smaller hotels, guest houses and bed and breakfast establishments. The scheme also encompasses self catering providers. Technology employed on this site includes HTML, CSS and PHP. Originally built in 1890, Number Seven Clifton Place is a lovely, traditional house with many period features set in a short, leafy terrace of similar properties. Number Seven first opened as a guest house in 2015 following an extensive ground up renovation of the entire property. The guest house is set in a very central location just a short walk away from Falmouth town centre and the historic Falmouth Harbour. Technology employed on this site includes HTML, CSS and PHP. 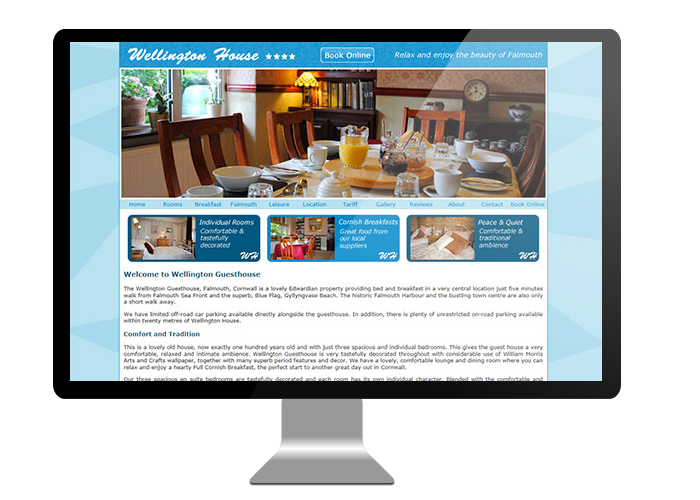 Wellington House is a lovely Edwardian property providing bed and breakfast in a very central location just five minutes walk from Falmouth Sea Front. The property is very tastefully decorated throughout with considerable use of William Morris Arts and Crafts wallpaper, together with many superb period features and decor. Technology employed on this site includes HTML, CSS and PHP. 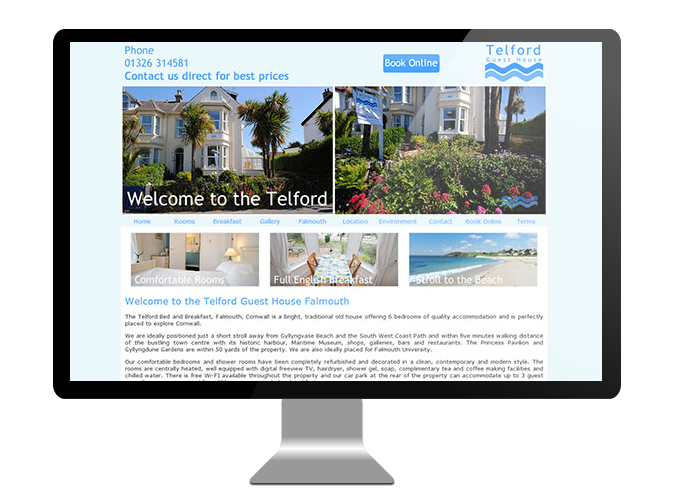 The Telford Bed and Breakfast is a bright, traditional old house positioned just a short stroll away from Gyllyngvase Beach and the South West Coast Path and within five minutes walking distance of Falmouth town centre. All of the bedrooms and shower rooms have been completely refurbished and decorated. Technology employed on this site includes HTML, CSS and PHP. 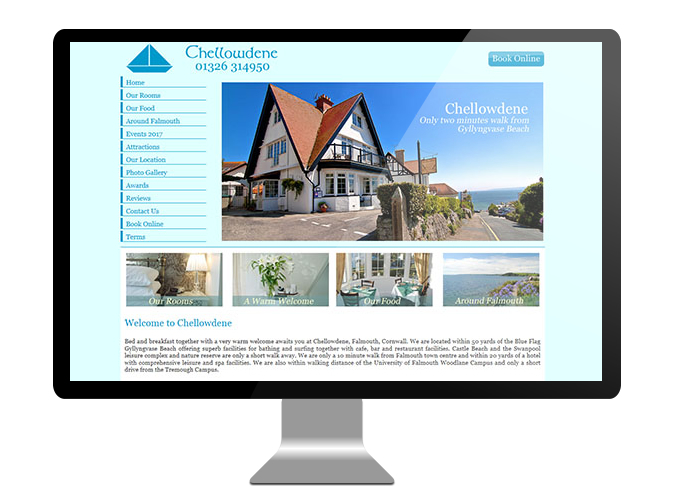 Chellowdene Bed and Breakfast is a lovely, spacious old house in a superb location which has been extensively and tastefully refurbished to a high standard throughout. There are sea views from most rooms and two rooms have private balconies. The home cooked food is superb with a hearty full English breakfast. Technology employed on this site includes HTML, CSS and PHP. 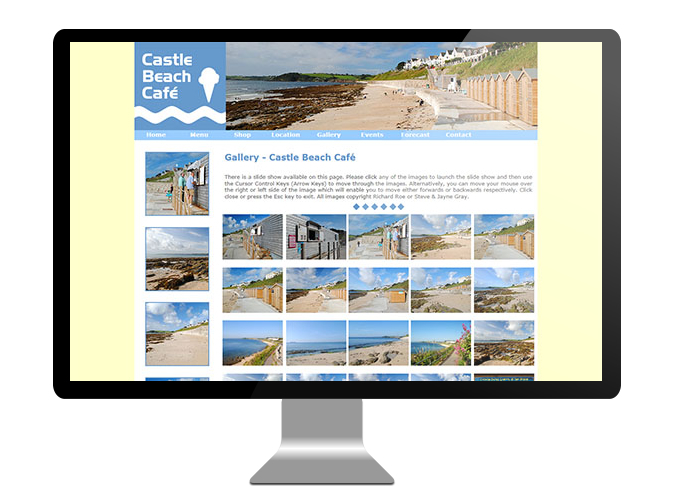 The cafe is located directly on the lovely Castle Beach with fantastic views out over Falmouth Bay. Castle Beach is a long sandy beach alongside a range of fascinating rock pools ideal for swimming, snorkelling or just chilling out and relaxing over a light meal or specialist coffee. Pasties are locally baked and delivered daily. All sandwiches are freshly made to order. Technology employed on this site includes HTML, CSS and PHP. 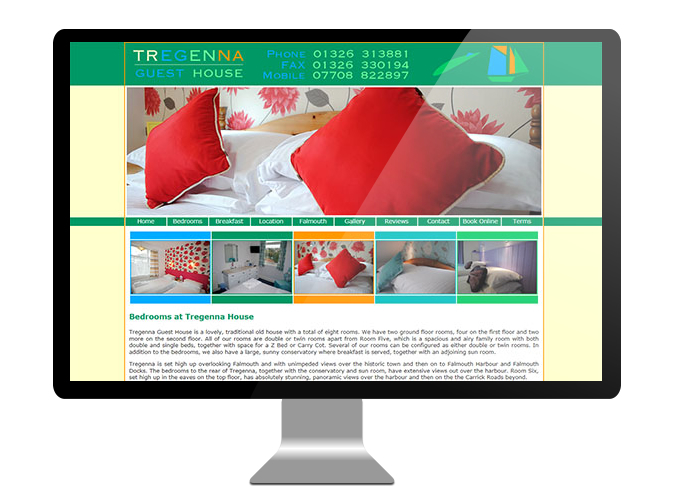 Tregenna Guest House is a lovely old house set in an elevated location with spectacular views over Falmouth. Most of the eight comfortable, homely rooms have delightful harbour or sea views. Tregenna also has a large and sunny conservatory at the back of the property which is both the breakfast room and sun lounge. Technology employed on this site includes HTML, CSS and PHP. Below Stairs is a quiet, comfortable and relaxing self catering holiday apartment located in a lovely old house, now exactly 100 years old. The apartment is fitted and finished to a very high standard. There is a spacious kitchen with granite worktops and a large, comfortable lounge area, together with a double bedroom. Technology employed on this site includes HTML, CSS and PHP. 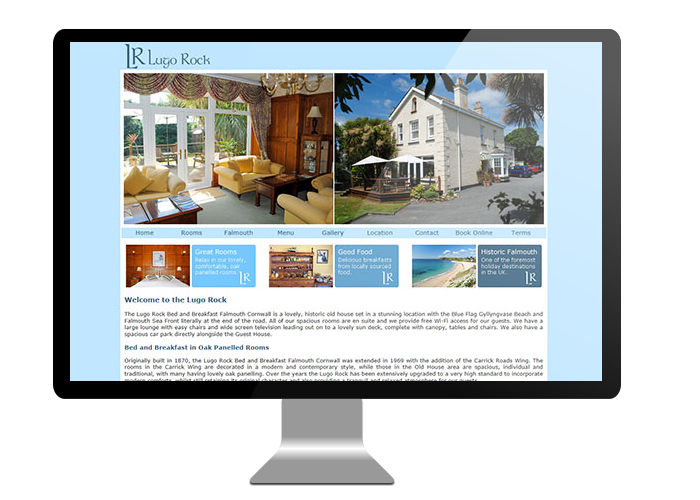 Originally built in 1870, the Lugo Rock Bed and Breakfast is a lovely, historic old house set in a stunning location with the Blue Flag Gyllyngvase Beach and Falmouth Sea Front literally at the end of the road. All of the spacious rooms are en suite. The property has a large lounge leading out on to a sun deck. Technology employed on this site includes HTML, CSS and PHP.